A new technique to analyze the cellular and molecular profiles of synovial tissue and peripheral blood to help develop more effective treatments for rheumatoid arthritis (RA), was detailed by researchers from Brigham and Women's Hospital, speaking recently at the American College of Rheumatology/Association of Rheumatology Health Professionals annual conference in San Diego. “We have come a long way in our ability to treat RA patients by targeting specific pathways or cell types that contribute to joint inflammation. However, we need to better understand why certain patients do not respond to available treatments. Having biomarkers that could predict treatment response in patients with RA would be a major step forward. 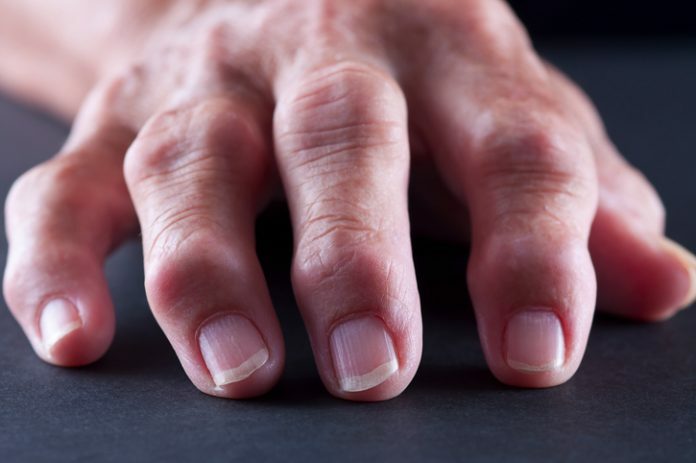 But, how do we identify new targets or new biomarkers given the complexity of RA?” asked Kevin Wei, M.D., Ph.D., instructor at Brigham and Women's Hospital in Boston. Dr. Wei and his team used molecular profiling methods to examine 30 to 40 cell types and thousands of genes from the same patient sample. “We believe that the ability to visualize multiple cell types and examine multiple molecular pathways in the joint target tissue will transform the way we understand RA,” said Dr. Wei. The researchers analyzed 58 synovial tissues from 22 biopsies and 36 elective surgical procedures, including 20 RA and 16 osteoarthritis (OA), by a combination of flow cytometry, mass cytometry, and single-cell RNA sequencing. Patients were recruited from 10 contributing sites. The synovial tissues were cryopreserved and shipped to a central processing center for tissue disaggregation, cell sorting, mass cytometry, and RNA sequencing. Researchers then evaluated the synovial tissue quality and graded the level of synovitis. Synovial cellular composition determined by flow cytometry and mass cytometry was highly consistent in T cells, B cells, myeloid cells, endothelial cells, and synovial fibroblasts, according to Dr. Wei. While tissue samples from elective surgical procedures showed varying degrees of inflammation, the tissues obtained from biopsies revealed significantly higher inflammation than OA tissues, and a higher abundance of lymphocytes by flow cytometry. The infiltration of lymphocytes in the tissue was significantly correlated with the histologic inflammation score, which supports the findings from the flow cytometric assessment. Principal component analysis of the synovial flow cytometry data identified three RA arthroplasty (a common joint surgery) samples with inflammatory features that resembled those seen in the RA biopsy tissues, continued Dr. Wei, adding that these arthroplasty samples also showed higher inflammation score by histology. Ongoing transcriptomic profiling of sorted synovial cells from these samples also demonstrates molecular heterogeneity in the synovium from RA patients, he added, noting that the team found that robust cell yield from synovial tissue enabled mass and flow cytometric data.